I collect. There I've said it. When I think back I realise I've always been a collector. It started with novelty soaps when I was about 9 and kind of grew from there. The soaps are long gone but the collections are still growing. Ladybird books, 60's Big Eye art, kitsch toys, hearts and Blythe dolls. I'm obsessive about them all but Blythe is the centre piece. 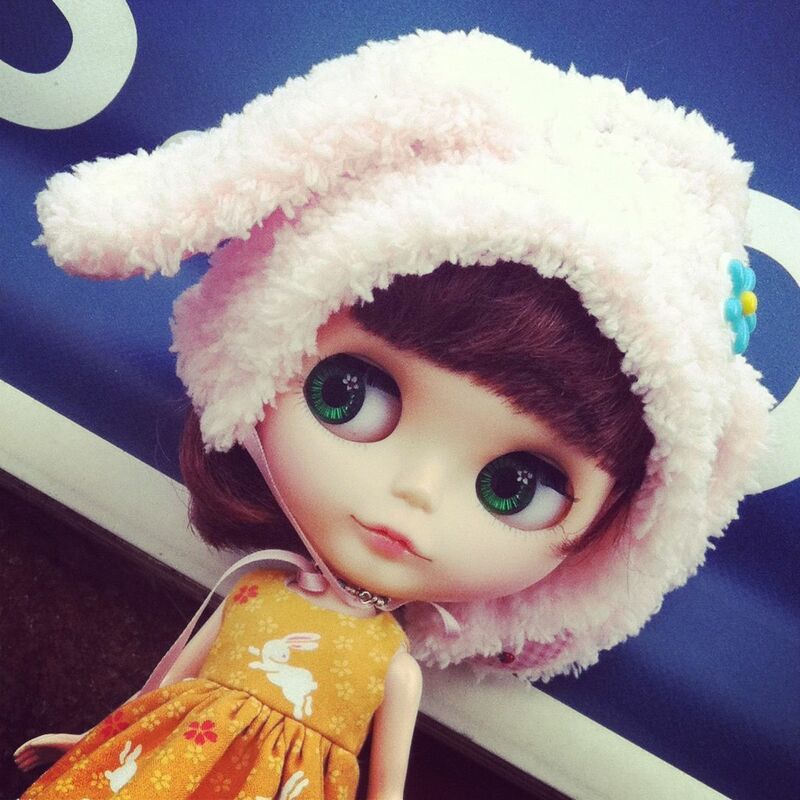 Though a 70's throw back, the original Blythe was way ahead of her time. Her big head and colour changing eyes just didn't catch on and Kenner retired her from production at the end of 1972 after less than a year on the market. Twenty eight years later, thanks to American photographer and doll collector, Gina Garan Blythe was to be reborn and the rest as they say, is history. 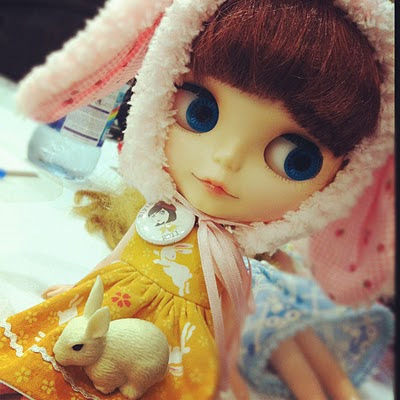 Since 2001 Blythe has been produced by CWC and manufactured by Takara who are currently releasing around 12 new dolls every year. Her quirky looks are now celebrated around the world and she's become way more than a children's doll. She's sassy, stunning, beautiful and a photographers dream. She's clocked up pages of editorial in Vogue and had tiny replica outfits created for her by some of the worlds leading designers including John Galliano, Prada, Gucci, Vivienne Westwood, Issey Miyake, Versace, Sonia Rykiel and Alexander McQueen. On Saturday the UK Blythe massive came together for the second annual BlytheCon event. Hundreds of Blythe lovers and their girls together in one place is a sight to behold. Its a doll lovers dream with mini everything to tempt your money from your pocket. Next year Blythe turns 40 and she'll be celebrating with a massive knees up in October. 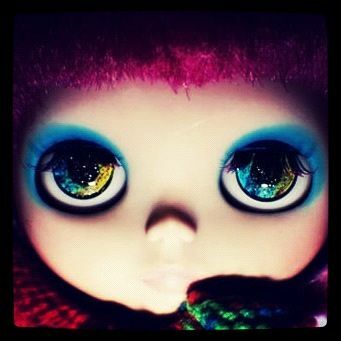 Keep your eyes on the BlytheCon site for ticket information - but don't leave it too late, the last two events sold out. Fast. These girls are all from my collection.